For a man of many constants, impervious to deviation as he stands for ideals, Superman has been through a lot of changes. Many of those changes have come as direct results of migrating to other media. As created by Jerry Siegel and Joe Shuster in June 1938, a lot of his mythos and canon were directly influenced by what occurred in the very popular comic strips and radio series, including Kryptonite, Jimmy Olsen, and various other parts of his Kryptonian heritage. 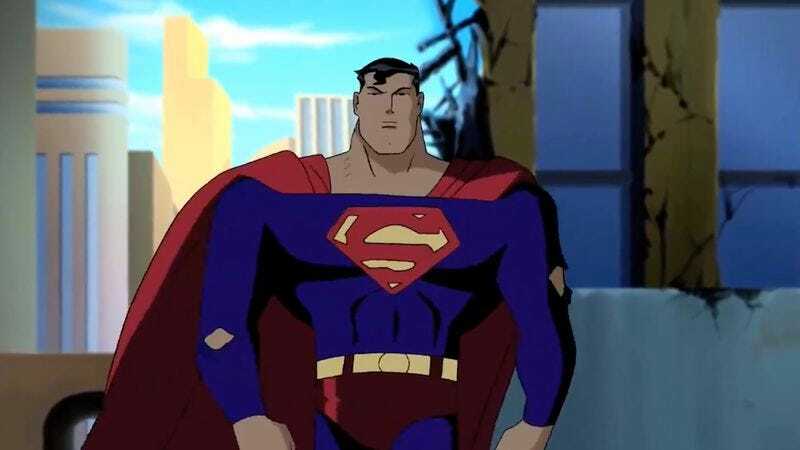 In fact, Superman wouldn’t even be flying if it weren’t for the Fleischer Studios insistence that a “jumping” hero was silly-looking when animating the cartoons in 1941. Burger Fiction has taken a look the ways Superman has been interpreted on screens over the past 75 years. Similar to his video on the evolution of Batman, Burger Fiction shows all the ways that the son of Jor-El has grown and changed depending on the styles and the artists working on the various shows and films. From the Fleischer cartoons, to the George Reeves-era, straight into the Christopher Reeve tenure, the teenage angst of Smallville, various cartoon versions, and then right up to his most recent interpretation (which has been less than positively received). Superman has always been mocked for being boring, too stale and uninteresting since he can accomplish so many things with ease. Yet this video shows all of the different ways that various artists have approached the character and left indelible prints on how the public perceives the last son of Krypton.